Walking into a car dealership can be a daunting experience; shiny vehicles and well dressed salespeople surround you as you look at the inventory. Where do you start? It seems like a simple transaction of purchasing an inanimate vehicle, but competitive car dealerships have found cunning pathways to charge you more through additional features, such as floor mats. What should you insist upon and decline during a sale? A few simple pieces of knowledge will help you harness a great deal without getting swindled. Before even entering the sales room, do your research. Do you live in a desert region? You will definitely need air conditioning. Are shiny wheels and slick tires necessary for your aesthetic vehicle appearance? 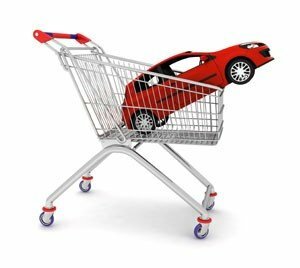 You will probably need to buy the wheels and tires at an aftermarket retail facility to prevent price gouging at the dealership. All of the necessary items that you personally want within the vehicle off of the lot should be brought to the sales associate's attention; he or she will gladly load a car with various options. However, be firm with the options that you truly do not want and do not want to pay for. Paint sealants, upholstery protectors, and specialized VIN (Vehicle Identification Number) etchings are not necessary to the common car buyer. Do not feel pressure; there are usually a number of different dealerships in a particular area. You can always leave and visit another dealer if a sales associate is trying to sell options you do not want. The temptation of an extended warranty is especially high for purchasing a used vehicle. As a rule, most new car purchases should not require an extended warranty since the original warranty should be sufficient to cover any issues down the road. However, purchasing a used vehicle may require you to purchase an extended warranty for peace of mind; this coverage can help you save money if the car fails relatively soon after the purchase. Keep in mind that these extended warranties are not a mandatory item for either new or used vehicles, but if you do purchase one, make sure it is offered by the car's manufacturer, rather than a third party carrier. Car finance options are a deception tactic on the part of the sales associate; paying $200 a month for 5 or 6 years sounds like a deal, right? Wrong. Discuss the entire price of the car as a whole, rather than in monthly payments. As a result, you can then negotiate options you desire and hopefully have the dealer include them in the full, negotiated car price. Haggling over monthly payments allows the dealer to charge you for options you may or may not want. In the end, the options have overinflated prices that are extended throughout the financing plan to make it look like a deal. Are you planning on commuting to work in the car or simply use it to off road on the weekends? 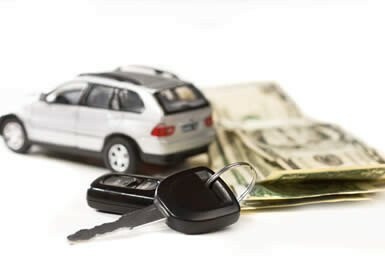 Purchase a vehicle and options that pertain to your personal application of the car. If you are commuting to work, choose a car with great gas mileage. Lifestyle vehicles should have most options, such as hitches or lifted carriages, installed with a third party. Do not pay extra at the dealer when you can get a much better deal at an aftermarket facility. Let common sense and your purpose for purchasing be your guide so you do not fall for the extra options at premium prices. Overall, enjoy purchasing your new vehicle. Freedom of the road is exhilarating; do not let a pushy salesperson ruin your outlook on life. Find a solid dealership and make a fair deal.